SAINT PETERSBURG, Russia (June 16, 2017 – M-1 Global has announced that M-1 Challenge bantamweight champion Pavel Vitruk will defend his title against interim titlist Movsar Evloev, July 22 in the M-1 Challenge 81: Battle in the Mountains 6 main event, in the Republic of Ingushetia. The international MMA event will coincide with the 25th anniversary celebration of the Republic of Ingushetia. Vitruk (14-2-0), fighting out of Moscow, bounced back strong from a sub-par 2016 with impressive victories over Sergei Morozov and then Vitaly Branchukom to become the first M-1 Challenge bantamweight champion. Vitruk, though, was unable to make his first title defense until now, due to an injury, opening the door for Evloev (7-0-0) to become the interim M-1 Challenge bantamweight champion and Vitruk’s mandatory challenger. Fighting at home in Ingushetia, Evloev has improved in each fight, adding in physical strength and using technology. 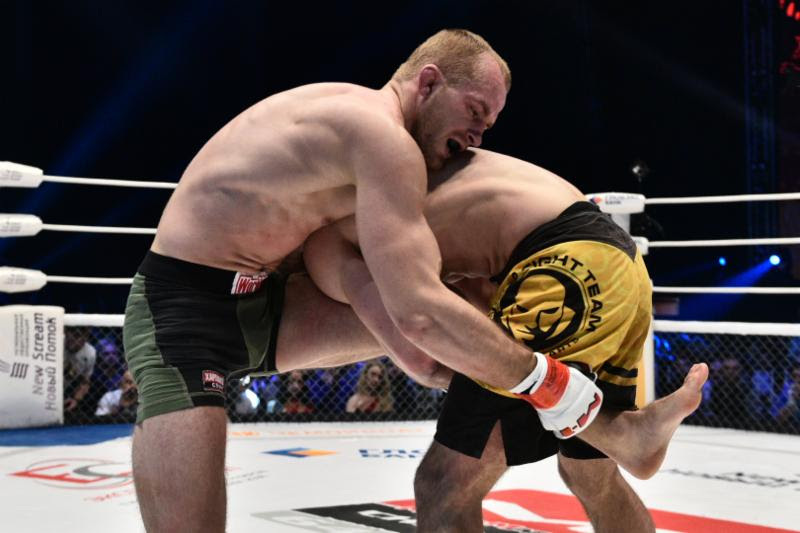 He knocked out Alexei Nevzorov in the second round at M-1 Challenge 76 to become interim champ. Evloev looked very impressive in his last few fights and it appears his undefeated streak will be extremely difficult to snap. Vitruk, however, has much more experience than his challenger with twice as many professional fights, including several stiff tests he passed with flying colors. Vitriuk vs. Evloev promises to be an uncompromising battle as both fighters are more than worthy of owning the coveted M-1 Challenge championship belt. The two warriors are true masters of the martial arts. Additional fights will soon be announced.